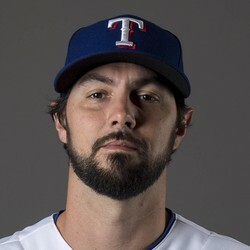 Tony Barnette exited Tuesday's game against the Astros with a right shoulder strain, John Blake of the Texas Rangers reports. Barnette tossed 1.1 scoreless innings before leaving the game with the injury during the eighth inning. Barnette who is having a great year as the Rangers middle reliever will get evaluated on Wednesday and there should be more clarity on his shoulder injury.